Our trimmer features a tactile-grid surface along the inner lining designed specifically to prevent slippage during high-intensity workouts. Intuitive fastening system is easily adjustable and fits almost any waist size. Made of high-quality 100% latex-free neoprene and features 'soft' Velcro hooks for improved product durability. 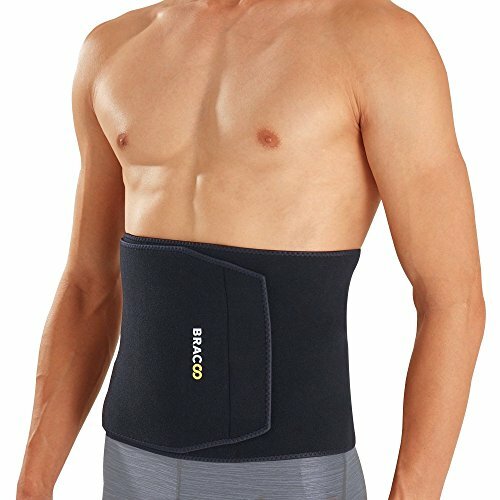 Effectively retains body heat to increase perspiration around the waist and lower back which results in an improved 'trimming' effect around the targeted region. Compresses and supports core muscles for enhanced performance while reducing fatigue and strain. Wear directly against skin for optimal performance.